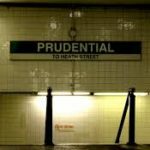 A week ago, there was a hate incident on the Green Line trolley, starting at Prudential. From the description in UniversalHub, it went perfectly. 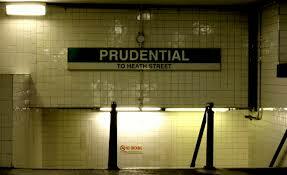 A Christian man was shouting his beliefs are everyone on the platform at Prudential. At some point, he escalated to focus solely on a woman wearing a hijab. The incident moved from the platform into the trolley. Several people in the trolley car spontaneously got up to separate the Christian man from the Muslim woman. The trolley driver added his authority. The aggressive person left peaceably enough. There were enough people present who understood what needed to be done. Several people acted. They approached as a group. A non-violent, non-confrontational tactic worked. In any city, it is fairly common to run into someone who is shouting their beliefs in public. Some of these people are entirely self-controlled, but passionate about their religious or political stands. Others are not self-controlled and could mean to harm others. If you watch the behavior of people passing someone who is preaching or lecturing in public, they tend to give a shouting person more space. They avoid eye contact. This is easy enough to do on the street. Most adults instinctively notice signs of danger. If the shouter is not in control, their speech/thoughts seem disorganized or jumbled; their language gets repetitive and their tone takes on a panicky quality. Some attempt to corner others, crowd them to get someone to listen. Most people immediately know something is wrong when they see a person who is not thinking clearly. Out of control shouting behavior becomes a bigger problem in enclosed spaces, such as a trolley car. In small spaces, it is harder to maintain personal space. It is also more dangerous, because there is no safe way out of a moving trolley. In a small space, numbers matter. If one person is shouting, two or more people need to approach to separate the aggressor from their target. The more empty space in the car, the easier it is to establish separation. 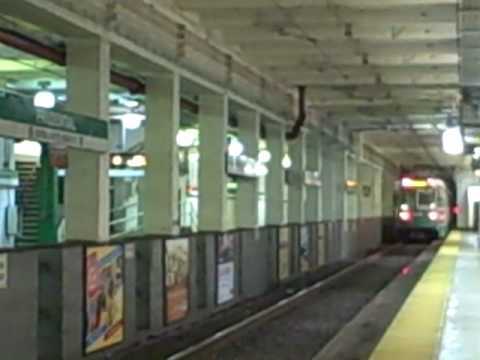 There was an incident on the Red Line in Cambridge into Somerville last spring. Two women safely separated two angry men, with the assistance of having the attention of most people in the car. Real danger! Do you know who the man shouting at the “Free Speech” rally in the video above is? He is Jeremy Joseph Christian. He killed two bystanders and wounded another in Portland, Oregon less than two weeks after that video was made. The men who intervened on behalf of the two young women on the train in Portland could not have known that this aggressive man had publicly threatened Muslims, fake Christians, and Jews ten days before. I consider him a terrorist and a premeditated murder. But, I don’t run the world. Back to the Green Line on August 3rd. What else could have been done? If the Christian man had begun haranguing the Muslim woman before the trolley came, it would have been safer to keep one of them from boarding (preferably the shouting man). Does anyone know if the Muslim woman is all right? Where did she go? What support did she have, after the immediate danger was over? This is a step that many active bystanders forget to do. If you are interested in my Bystander Intervention classes. Please join my mailing list. Dear readers, If you are wondering why I am not writing about Charlottesville, it is simply because I am not ready to say something coherent and helpful.